Throwing liquid waste into garbage cans doesn't make sense. When I was in elementary school, we had a simple routine in our lunchroom for getting rid of our trash. First, we scrapped out our trays into the garbage, next we poured out any remaining milk into a bucket, before throwing out the container. It made sense. Why pour gallons of milk into a plastic bag? 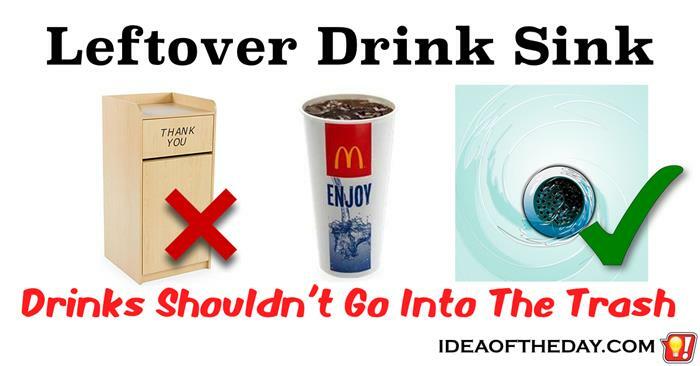 Meanwhile, that's exactly what we do when we throw out our remaining drink at fast food restaurants. Doesn't it make sense that they offer some sort of drain where you can pour out the leftover soft drinks?